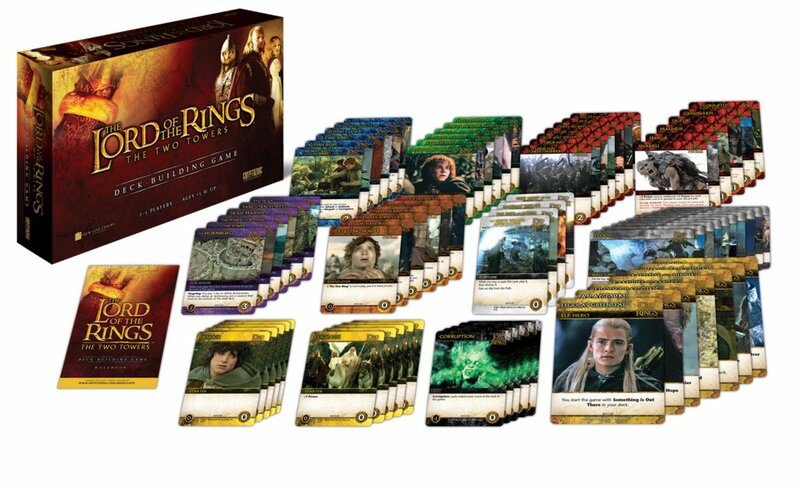 Lord of the Rings: Two Towers Deck-Building Game - 63% Off! "In The Lord of the Rings: The Two Towers Deck-Building Game, players take on the role of Frodo, Legolas, Aragorn, or one of their brave and heroic allies in the struggle against the forces of the Dark Lord Sauron! 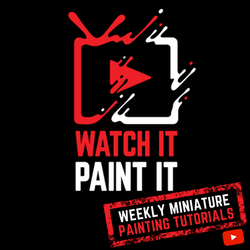 While you begin armed only with basic combat maneuvers, you'll add new, more powerful cards to your deck as you go, with the goal of defeating the deadly forces that serve Sauron as you make your way towards Mount Doom. While The Two Towers can be combined with Cryptozoic's The Fellowship of the Ring Deck-Building Game, it's also playable on its own, and unlike that previous game, it includes a "Wall of Helm's Deep" deck that adds a new element to gameplay. If The Wall can't defend the wall from Saruman's forces and it becomes breached, the battle will get tougher for the heroes!" Neca Wizkids Heroclix Quarriors! Quest of the Qladiator Expansion - 61% Off! "In Quarriors! 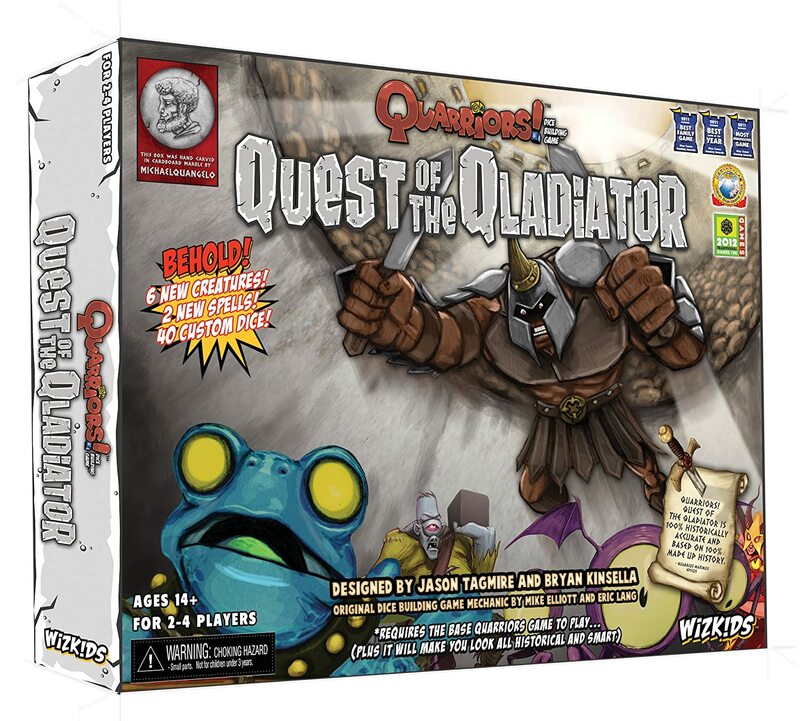 Quest of the Qladiator, the third expansion for Quarriors!, you have been selected to compete in the Qladitorial Games! Quadrennially, Empress Quiana calls together the mightiest Quarriors across the land to compete in the great Quolosseum. Will you defeat all other competitors for the greatest Glory? Quarriors! Quest of the Qladiator adds forty new custom dice powering six new creatures and two new spells, in addition to a new "Lock" mechanism that allows some creatures to have long-lasting game effects." 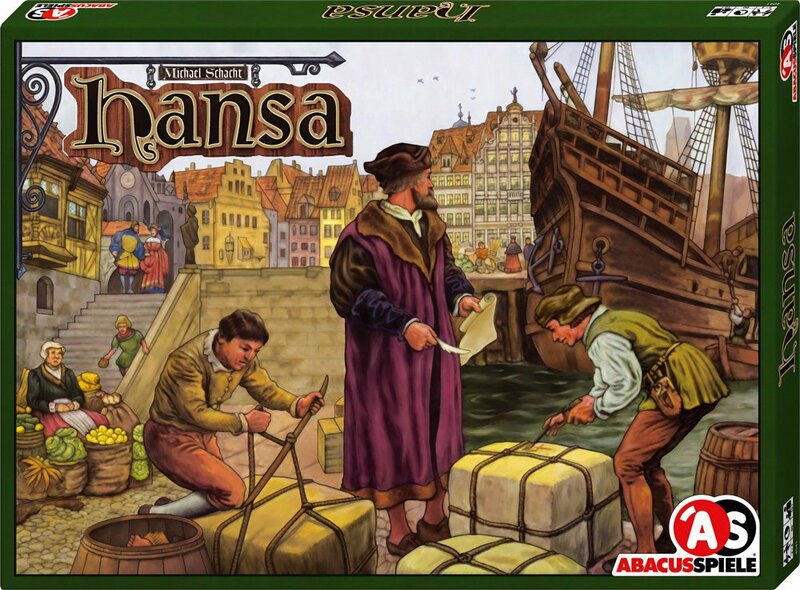 "Players are merchants of the Hanseatic League. Players take control of the ship and buy and sell goods, establish trading posts, and sail to find new markets. The board is a very simple map of Scandinavia, with arrows from point to point restricting where the boat is able to move. The active player takes control of the boat and must pay to move to each new city where he may either buy, sell, or expand. Players want sets of goods that they can trade for victory points, but also need to expand their market presence to generate revenue." 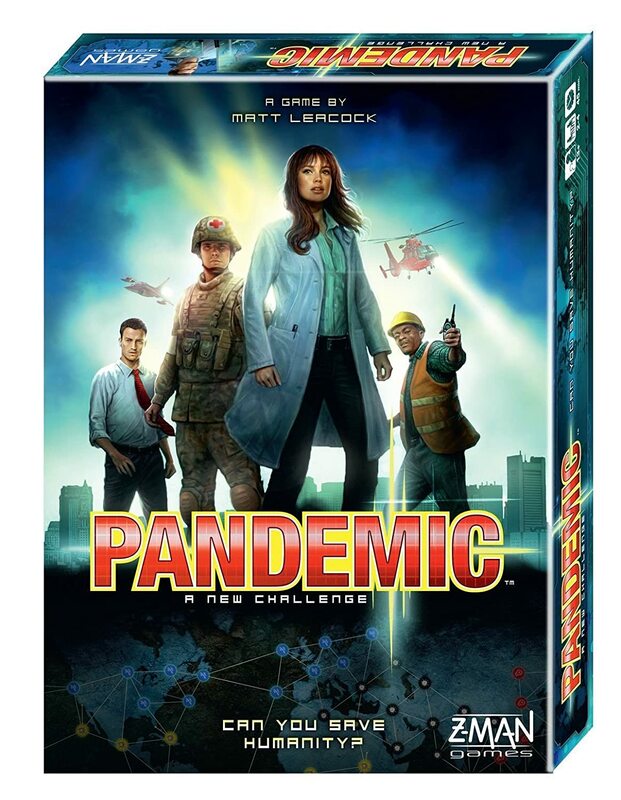 "In Pandemic, several virulent diseases have broken out simultaneously all over the world! The players are disease-fighting specialists whose mission is to treat disease hotspots while researching cures for each of four plagues before they get out of hand. Taking a unique role within the team, players must plan their strategy to mesh with their specialists' strengths in order to conquer the diseases. For example, the Operations Expert can build research stations which are needed to find cures for the diseases and which allow for greater mobility between cities; the Scientist needs only four cards of a particular disease to cure it instead of the normal five—but the diseases are spreading quickly and time is running out. 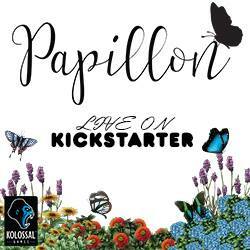 If one or more diseases spreads beyond recovery or if too much time elapses, the players all lose. If they cure the four diseases, they all win!" 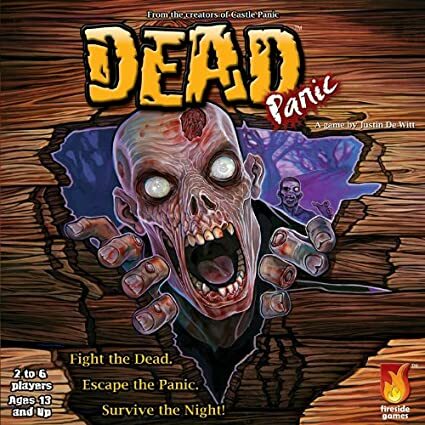 Dead Panic - 28% Off! "The zombie apocalypse has begun, and you and your friends take on the roles of various characters who are all working to survive. Can you survive Dead Panic?" The X-Files Board Game - 62% Off! "In The X-Files, players take on the role of Mulder, Scully, and the X-Files team as they work to uncover global conspiracies and threats while going up against various members of the Syndicate. In game terms, 1-4 agent players team up against one opponent who controls the Smoking Man and his nefarious network. The X-Files board game will focus on material from the first three seasons of the television series, giving fans a chance to start from the beginning of the phenomenon." Specter Ops - 42% Off! "A secret agent of A.R.K. has infiltrated a top secret Raxxon facility, attempting to complete three mission objectives before they escape — but they are hunted by genetically modified Raxxon Hunters. Players can choose which side they wish to join. Specter Ops is a sci-fi, stealth ops game of hidden movement that's similar to Scotland Yard. Players are trying to locate/capture a mysterious agent, who keeps track of their sneaking via a private map. The other players take control of unique characters who must use their wits, abilities and technology to help them hunt down this infiltrator. Items like flash grenades, scanners, and the like are at the disposal of this covert agent." "In some of the best versions of reality, the Egyptians discover America, the industrial revolution happens early, and eventually robots take over. In others, the Renaissance produces a plutocracy, which leads to a utopia — or perhaps to anarchy; it's all in the subtle details. As a time-traveler, you've seen it all, and it all has its place. What's important is who's in control in the long run when time travel is invented. With other time-travelers mucking with things for their own reasons, your course is clear: you will tamper with history as much as is needed, stepping on however many butterflies it takes, to get a perfect world under your own benign rule. In Temporum, the board shows the possible paths history can take and the actual path it currently takes. On your turn, you can change history, travel through time, and visit a point in history. You draw cards, play some of them for money and abilities, and score some of them to advance your power through history. Having more power in a time period gives you abilities, but your goal is to have all of your power in the last time period, the time from which you come."